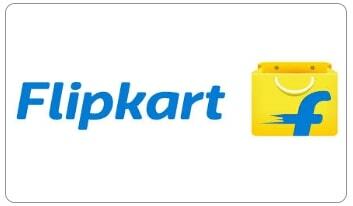 Flipkart is India’s favourite online shopping destination for a range of products. What started out as an online book store in 2007, now offers an unbelievable range of products. If there’s one online store that offers everything under the sun, it’s Flipkart. So you’ll never go wrong when you gift a Flipkart e-Gift voucher. Flipkart Gift Cards ('GCs"Gift Cards"') are issued by QwikCilver Solutions Pvt. Ltd ("Qwikcilver") which is a private limited company incorporated under the laws of India, and is authorized by the Reserve Bank of India ("RBI") to issue such Gift Cards. The Gift Cards can be redeemed online against Sellers listed on www.flipkart.com or Flipkart Mobile App or Flipkart m-site ("Platform") only. You are solely responsible for the safety and security of the Gift Cards. Flipkart.com/QwikCilver Solutions are not responsible for any acts of omission or commission if Gift Card is lost, stolen or used without permission. Once the Gift Card has been sent to you, you are bound to protect the Gift Card PIN or Gift Card number as confidential. In the event of any misuse of Gift Card due to loss of any such confidential details due to the fault of the purchaser, Flipkart/ QwikCilver Solutions Pvt. Ltd shall not be responsible for the same and no refund can be issued. Flipkart.com/QwikCilver Solutions assume no responsibility for the products purchased using the Gift Cards and any liability thereof is expressly disclaimed. Gift Cards once purchased, cannot be cancelled by the Purchaser. Any cancellations shall be at the sole discretion of Flipkart/Qwikcilver. Qwikcilver/Flipkart reserves the right to cancel the Gift Cards if the same have been found to be purchased with fraudulent means. In such cases, the funds shall be credited back to the same source from where these were received. In the event the beneficiary/Know Your Customer ("KYC") details as per RBI Guidelines are found to be incorrect/insufficient, Flipkart.com/QwikCilver Solutions retain the right to cancel the Gift Card issued. You agree and understand that Gift Cards are a pre-paid payment Instrument subjected to regulations by RBI Under the RBI guidelines, Flipkart/ QwikCilver Solutions Pvt. Ltd may be required to share KYC details of the purchaser/ redeemer of the Gift Card and/or any other information with relation to the purchase of the Gift Cards and/or transaction undertaken using the Gift Card with RBI or such statutory authorities. Flipkart/ QwikCilver Solutions Pvt. Ltd may contact the purchaser/redeemer of the Gift Card for any such information. E-Gift Cards are normally delivered instantly. But sometimes due to system issues, the delivery can be delayed up-to 48-72 hours.